We are constantly on a journey to optimal wellness. For me and my family, that means eating healthy, staying physically active, eliminating toxins from our daily lives, and keeping a positive mindset. 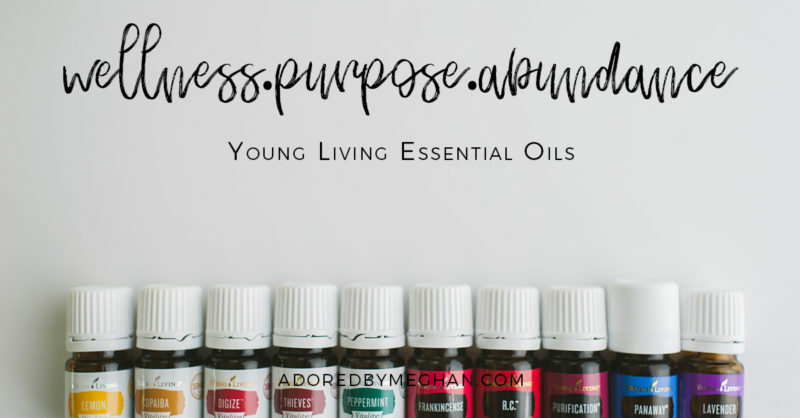 I will be regularly updating our journey with blog posts, but I wanted to dedicate a space sharing our decision to join Young Living Essential Oils. I bought my premium starter kit of oils in February of 2016. I was looking for support for me and my Son’s seasonal allergies. That was my main, “let’s just see if they help” reason for wanting to give essential oils a try. Oh my word. No doubt. We’ve had the best year this past year, and best year for me in the past 15 years or so! After falling into the amazing group that I did (the JoyDroppers), I began to learn more. I began to learn about the toxic chemicals that are in our everyday products and it was really eye opening. We had been trying to eat less processed or boxed food, so I was aware of some of the ingredients in food I wanted to stay away from, but I never really thought about what was in our other products, like laundry soap, dish soap, deodorant, cleaners, etc. I’m so thankful for the group of families I am a part of, as we’re all on the journey to wellness. But that was the beginning of our journey with essential oils. Not only was I loving my Young Living products, I was sharing about how I was using them on Instagram and Facebook. Then, I began running out of things! I made one reorder: Lemon essential oil, Thieves Laundry Soap, and two bottles of Citrus Fresh Vitality to gift to my kids’ teachers. After that, I realized I needed to take advantage of the income opportunity to continue to restock my supply, and switch out other things like our household cleaners and personal care products. So I started to intentionally share Young Living to help other families get a starter kit of these amazing oils of their own. This. This # right here. This is the number of families my Young Living Essential Oils team has grown to. 50 Families taking charge of their family’s health. 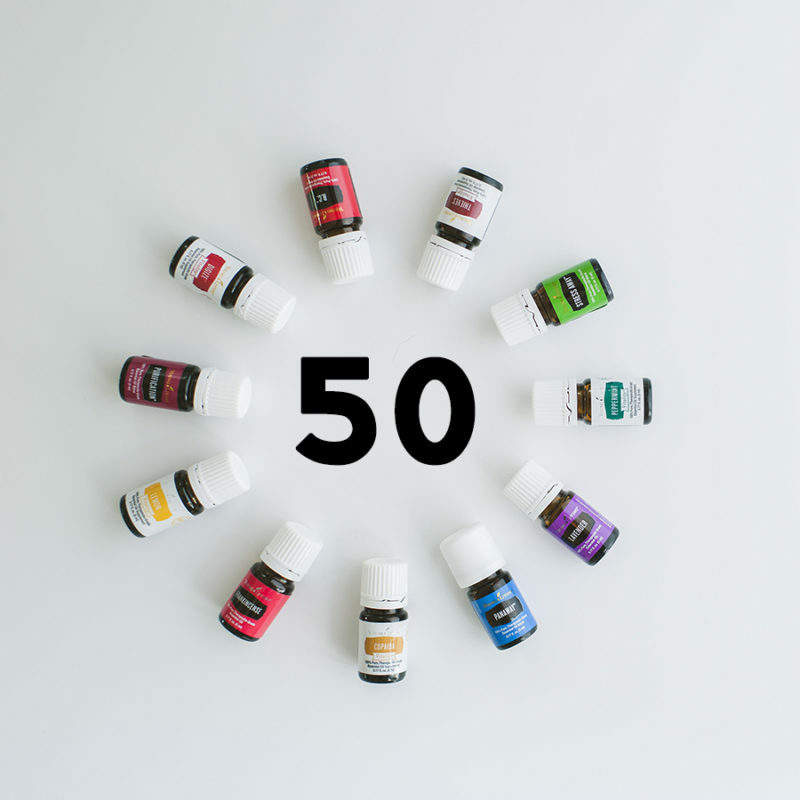 50 Families teaching their friends, families, and children how to take a little more control over what their bodies are being exposed to every day. 50 Families who have the opportunity to experience the best essential oils available (seedtoseal.com). 50 Families who have the opportunity to turn their love of products they use every day into a team of their own and experience freedom. I started intentionally sharing to help other families get started with their Young Living journey one year ago. I recognized that after 4 months of using the oils from my starter kit that they actually worked. And I was introduced to many other products that I saw the benefit in using. The issue I was having was financially. I couldn’t afford to pull money out of my household budget to place my minimum orders. Young Living is a referral based company, meaning they have a compensation plan. I NEVER wanted to be *that person*. I never wanted to SELL SELL SELL. However, just like nobody ‘sold’ to me, I realized I am not SELLING. I’m SHARING this wellness option, and I know how to help other families start the same way I did. So, I started hosting 101 classes on Facebook. 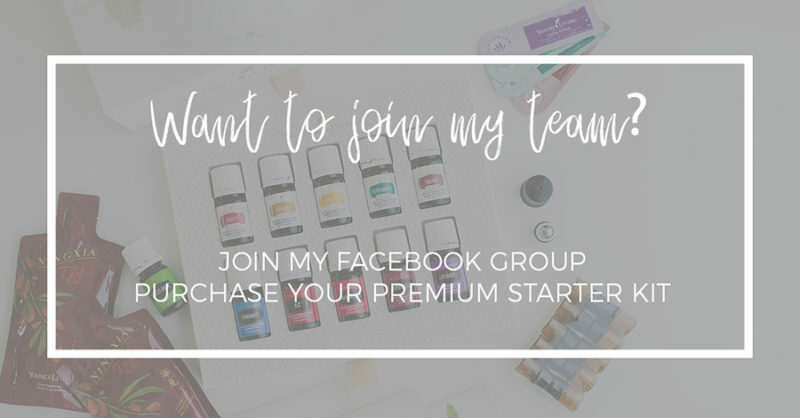 Facebook has been the easiest way for me to share the essential oil education. I had long been sharing my regular use posts, showing how I use Young Living products in my family’s day-to-day lives. 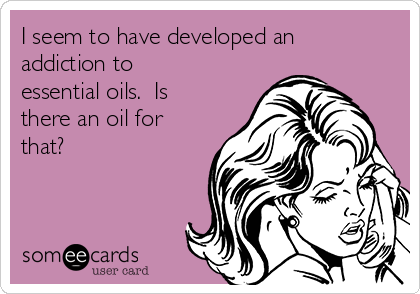 I caught the attention of people who never heard of essential oils, as well as those who had dabbled in a few different brands of oils. I was able to start helping families get their own kit of oils. BOOM. There was commissions so I could afford my monthly order. I don’t have any crazy miracle stories to tell, as some of my fellow oil users friends do, but I have a lot of small victories. I am also confident that we’ve ditched a lot of toxins and replaced them with other items that are not harming our health daily, so I can see down the road into the future that I have done a great deal for my family’s health. I’m also teaching my kids to be aware of some of the chemicals in products that cause our bodies harm, and that they have a choice. SO not only am I changing things for my family RIGHT NOW, I’m teaching my kids the same, so I’ve started a wellness legacy for my kids. So I don’t really see this number as 50. I see this number as 10,000. 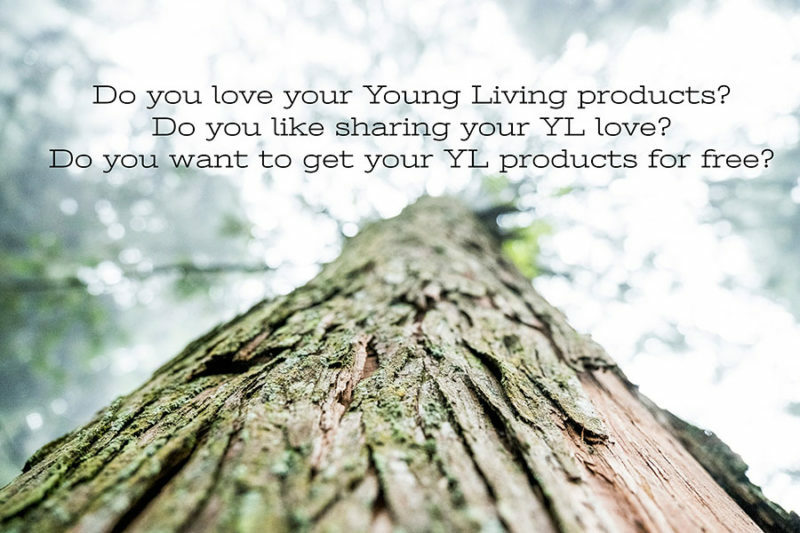 Let’s just say you interact with around 200 people on Instagram, SnapChat, Facebook, etc, and you share about these YL oils, their awesome new makeup, or their new line of baby products that don’t have any toxic chemicals in them. You share about your big or small victories switching your cleaning products, home care products, personal care products, etc. That 50 turns into 10000. Are essential oils and toxic free products a ‘fad’? Is ‘wellness’ something to soon be dismissed as a popular ‘wave’? Is our society ‘doomed’ with our continued rising numbers of body ailments? The first step is to get educated. Attend Facebook classes. Read articles on the internet. Check out books from the library. Then, once you know a few things, keep learning. Then once you are aware, you become the gatekeeper to your home. You can welcome better products for you and your family to be in your home. You can turn away the products full of chemicals you know will harm your body, your spouse’s body, your childrens’ bodies. I think we can all agree that when we have our health, it’s easier to deal with any curveballs life throws at us. So thank you! Thank you to everyone who has not thrown shame at me for sharing about Young Living. Thank you to everyone who has given a ‘Like’ on any of my essential oil posts. Thank you to everyone who has asked me questions about “Is there an oil for…..”. Thank you to everyone who has accepted the offer to borrow my travelling diffuser. Thank you to everyone who has been open to me sending them something when I’ve reached out to you and said, “This may help…..”. Thank you to everyone who has asked me for my Young Living information so they can get started because they have seen my posts and they are ready to start their own Young Living journey. Thank you! Feel free to join our Facebook group! Ready to grab a premium starter kit of your own? Pop on over here to set up your Young Living membership and order your preferred kit! Questions about what a Young Living membership entails? Either shoot me an email via the Book Meghan tab above, or join the Facebook group and ask there!